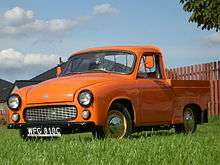 The Fabryka Samochodów Małolitrażowych, commonly known as FSM, was a Polish automobile factory born from an agreement between the FSO and Fiat in the 1970s for the construction of a new model, the Polski Fiat 126p, Polish version of Fiat 126. For the project a new manufacturing plant was opened in Tychy. The factory also produced until the beginning of the 1980s the FSO Syrena a model of another Polish factory FSO. The FSM brand was active between 1972 and 1991, when it was privatised and Fiat Group took control of it. 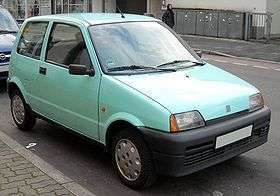 After the factory was renamed Fiat Auto Poland it produced Fiat Cinquecento and its successor Fiat Seicento. The last Fiat 126p was made in 2000. All Cinquecentos, Seicentos and new Pandas were/are made in Poland. Fiat Auto Poland also produces the new Fiat 500. Fiat Auto Poland's other plant at Bielsko-Biała, destined mainly to the construction of the mechanics, from 2002 has become center of the joint venture between Fiat Group and General Motors for the construction of the small 1.3-litre Multijet diesel engine. 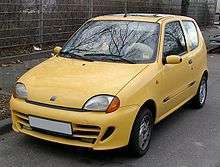 Fiat Palio Weekend (1998–2004, Bielsko-Biała and Tychy).